Stanley Thompson remains Canada’s greatest designer, but over the decades since his death, his courses have often been altered to the point where they are almost unrecognizable. But that isn’t the case with Digby Pines, a course that is truly representative of Thompson’s best work. “This castle on the coast is a great place to relax, unwind, and play one of Canada’s great golf courses,” says SCOREGolf. 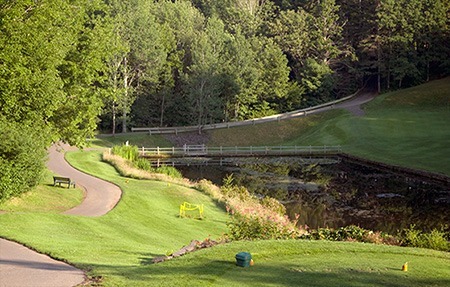 “Chockfull of stellar scenery and coastal charm, this Stanley Thompson track in Digby is a true natural beauty.” Cut through forests, the course is noted for many of the elements of the best Thompson designs—uneven, lay-of- the-land fairways, great green settings, and a circular routing that means each hole is affected by the wind in a different way. 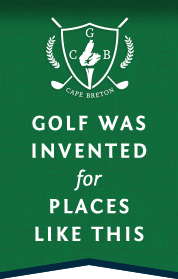 The course, which opened in 1931 and is part of a historic resort, was crafted when Thompson was at the height of his powers as a designer, building great courses throughout Canada. Over the years the course has been visited by a wide variety of celebrities, including baseball legend Babe Ruth, who drove one of the course’s short par 4s. The course is also noted for its exceptional par 3s, including the tremendous second hole with a heroic shot over water, or the short 16th, which rivals Jasper Park Lodge’s “Bad Baby” as one of Thompson’s best slight holes, this one measuring only 116 yards.